Sometimes Foodie: Pandas, Koalas, and Bears. Om nom! Pandas, Koalas, and Bears. Om nom! Time for some more scrumptious treats from the Asian grocery store! This time, I have a few different snacks with the same theme. 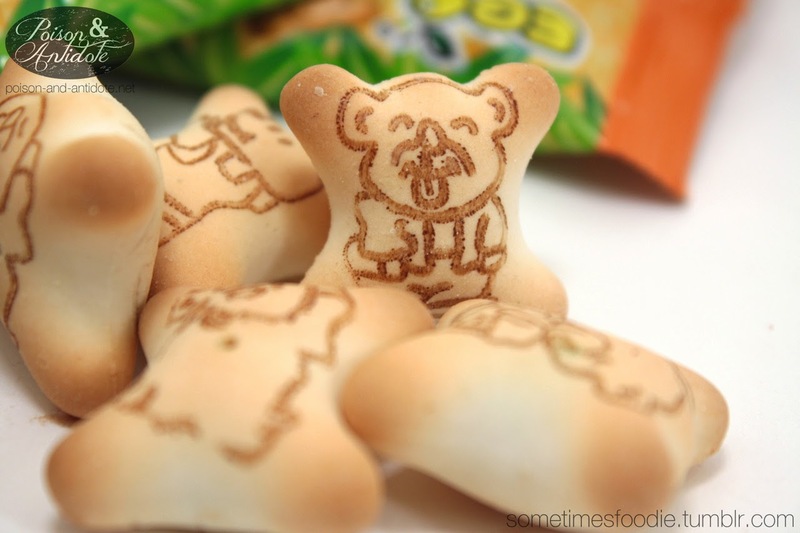 These little critters are bear-themed crème-filled cookies. Is one brand more delicious than the other? Let’s find out! All three cookies follow the same formula. Each box contains puffed, bite-sized, cookies with a flavored filling. 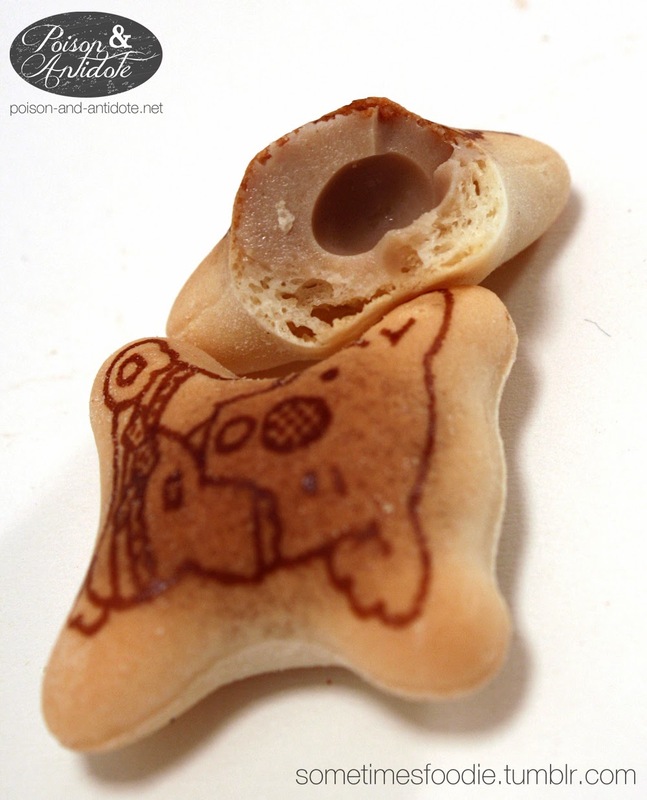 The outsides of each cookie are decorated with a stamped image of an animal. 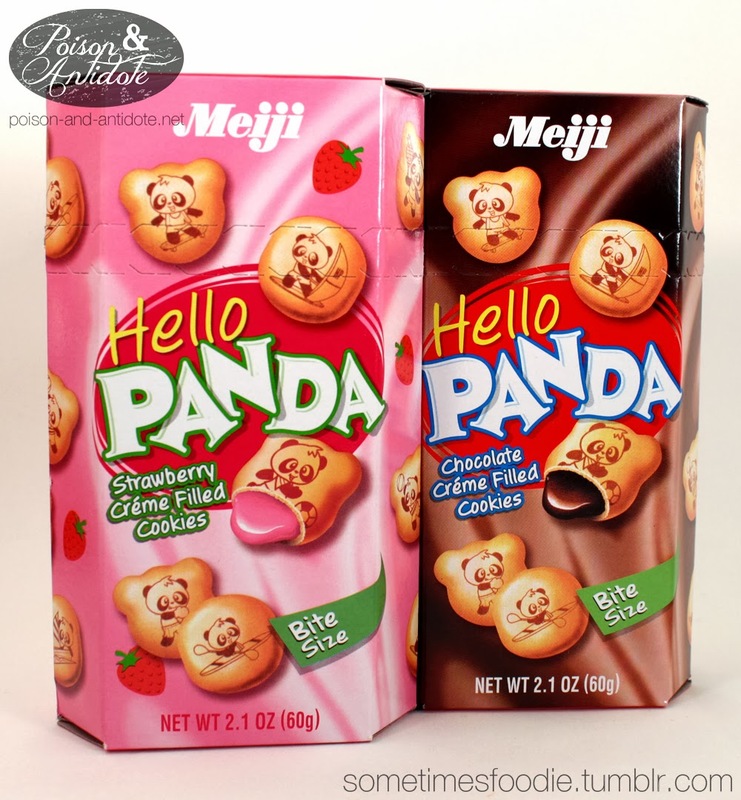 First off, we will look at a brand many of you have probably seen, Meiji’s Panda! 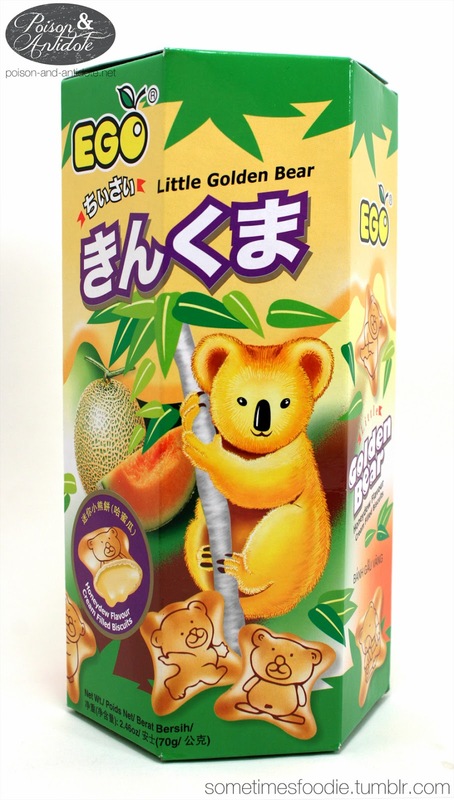 Meiji’s Panda may be widely available and well known, but it does not offer much variety. There are currently 4 flavors available in America. There are savory varieties available in Asia, but I have yet to see them in America. Time to taste test these pandas! The biscuit cookie is crisp and light, it isn’t very sweet and it reminds me of a Pocky stick. (Please see my past article on Pocky to learn more about that!) The cookie is hollow, and inside you’ll find a soft icing-like filling. I have chocolate and strawberry varieties. The chocolate tastes a lot like canned frosting, but it has a drier and thicker consistency. It is a bit sweeter than the coating on a chocolate Pocky stick, but nothing that will induce a sugar coma. 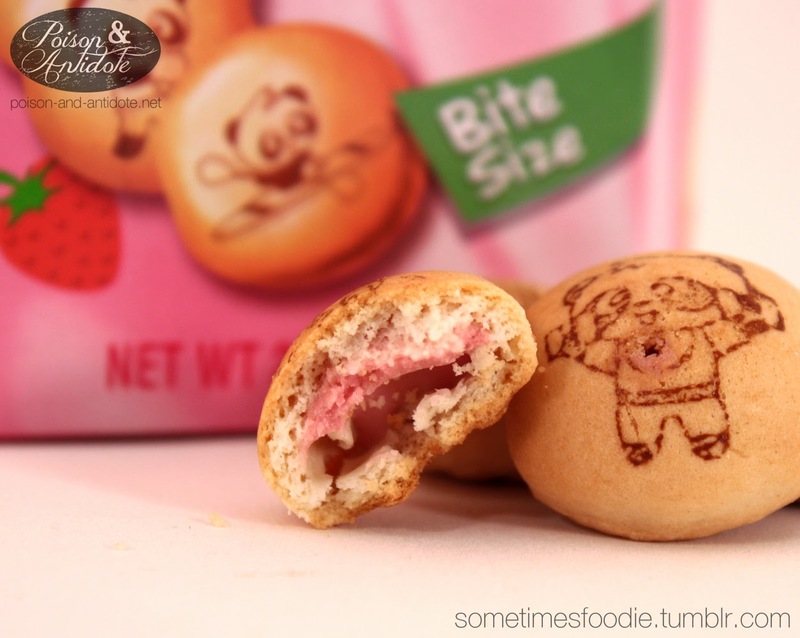 The strawberry filling is very similar to the flavor of strawberry coated Pocky, most strawberry Asian snacks have that artificial flavor to it, I am not a big fan of the flavor, but I am not put off by it. Next up, Lotte’s Koala’s March. This is another popular brand in Asia, but it is not as easily found in America. These can be found in almost every Asian grocery, but I haven’t seen them in any American convenience shops. 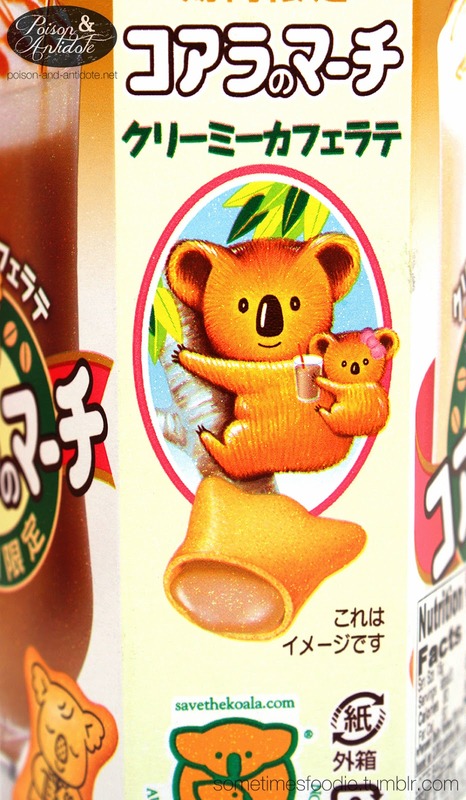 They follow the same formula as Meiji, but these little koalas come in a wider variety of flavors. The ones I have here are creamy café latte flavored. The biscuits this time are pinched in at the sides, and not round like the pandas, and the overall biscuit flavor is the same. The only thing different about the cookie portion is that the koalas have a denser cookie shell, while the pandas are lighter. 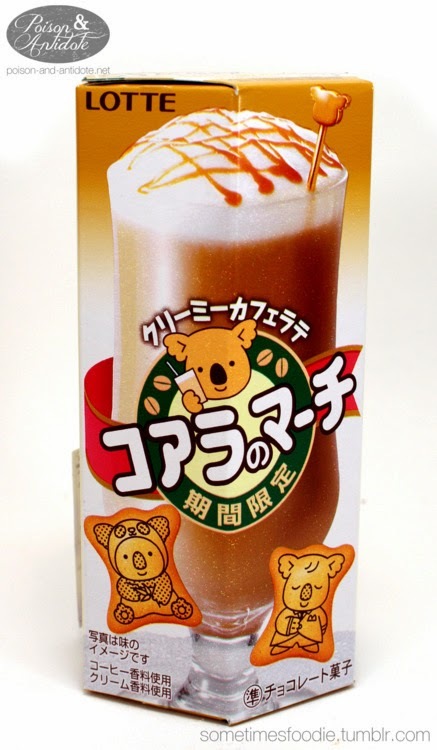 The latte filling has a nice milky coffee flavor to it, which I really enjoyed. Overall, I prefer the lighter cookie crunch of the pandas, but I like the variety of flavors you can find with the koalas. Last, but not least, we have Ego’s Golden Bear. 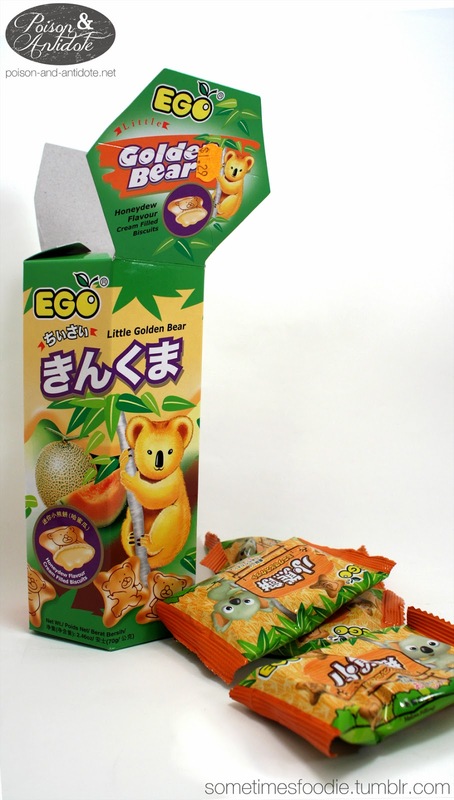 Ego seems to be the weakest of the three brands and they are a little difficult to find, not every Asian grocery carries them. Like Lotte, they are available in more flavors than Meiji’s Panda, but they are just a bit different. These bears don’t come in as many flavors as the koalas, but they have a wider variety than the pandas. 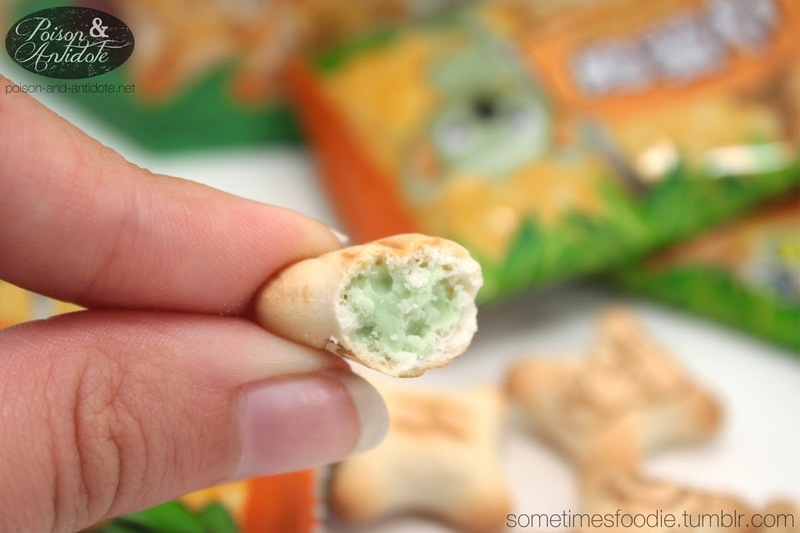 Here we have honeydew melon filled centers. 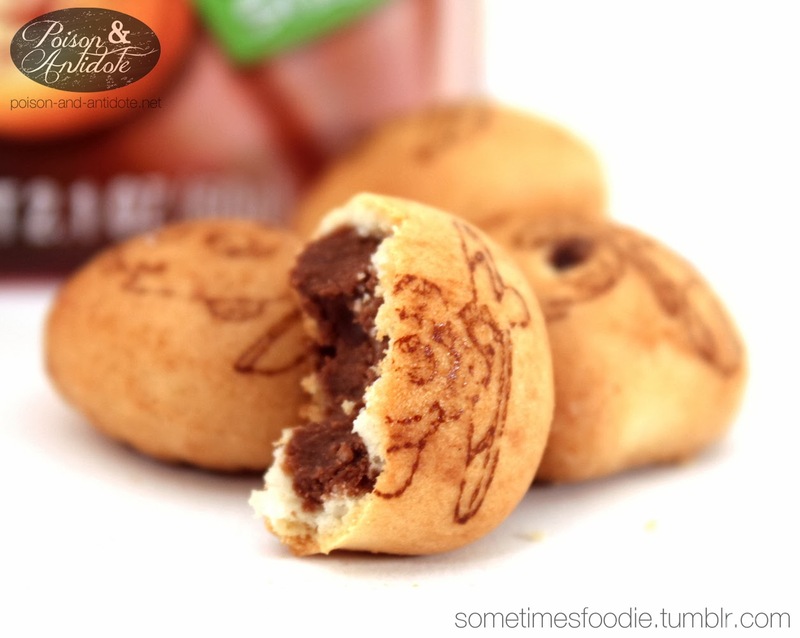 The cookies have that denser cookie-crunch, like Lotte’s koalas, but they almost taste stale. With all the packaging I was expecting a crispier cookie crunch. The filling does taste like artificial honeydew melon, which is nice and something I haven’t seen the other two brands do. 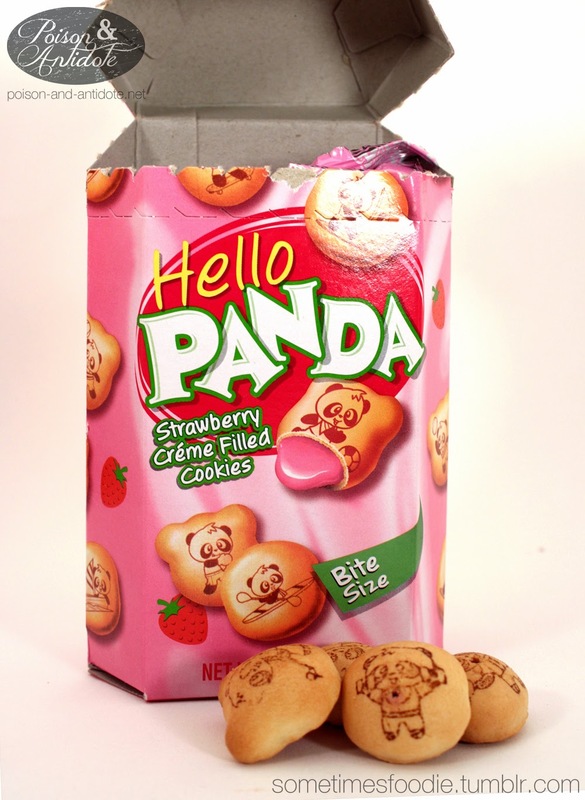 Out of the three, I would have to pick Meiji’s Panda as the overall best bear-cookie. Their light cookie crunch can’t be beat. I just wish it came in more flavors. Originally this article was published on the The Pop Culture Social Club, but that site has been transferred to Tumblr and article formats have been changed. To preserve my article as I am also posting it here.